I’ve always been a champion for entrepreneurs that find an opportunity to insert themselves in an already existing business transaction. At the end of the day, if there is additional value being created or the problem is being solved with more fervor, both parties will always justify paying for a third party’s involvement. That said, I fear that this mentality has gotten out of hand lately. Perhaps the internet is to blame here, but I have been finding businesses that are selling services only to offload it to partner (often competitor) businesses at a negotiated cost. In other words, it’s as if service providers are pivoting their business into a referral business - even though they are known for having their own licenses and team members. When this is performed one layer down, it feels appropriate. After all, a company should have partners that can field surplus work during busy times and lend expertise when they can add value. It’s when a customer can sense there are many rungs to the ladder that this becomes dangerous. I had this experience over the weekend. As a customer, I have to admit, it was sloppy and absolutely dreadful. I needed some very specific house work done. This would be the type of work that a specialty business would have to provide. Think about something similar to needing a locksmith to fix a door handle. After posting all of the details to Thumbtack, I was courted by a persistent business owner that led us to conversing via text message. Time passed, and mostly due to my own schedule, we didn’t get around to booking anything until several weeks after the post. Upon the worker’s arrival, two confusing things happened simultaneously. First, the van he showed up in promoted an entirely different business than the one I was choosing to hire. Secondly, he seemed “ready to work.” My understanding up to this point was that someone was going to come and look at the project. At that point, we would discuss pricing options, timeline, etc. So there we were talking about what he’s going to be doing. Whether a language barrier or a “I’m just doing what I was told” mentality was to blame, he persisted to work through the project. It wasn’t until about halfway through that I finally caught his attention with my repeated confusion. Since he didn’t know much else at that point, I decided to call the owner of the company I “hired” to come out and assess the project. Long story short, I could immediately detect that the business owner was trying to fast track this project, hired another company to do it, and planned to bill me 2X+ what his cost to pay the contractor would be. I sniffed this out, not just because the arrangement was so sloppily put together, but because I wasn’t actually getting my door handle fixed (from the example above). I had to say things like “You obviously didn’t read my post” or “It’s as if I have a cold and you’re treating me for a broken arm” to get my point across. I was savvy enough to see where this left everybody. The business owner was about to be out the cost of the incorrect work and thus needed me to pay for it. The worker himself was an innocent hard worker stuck in the middle of a lazy business man making costly mistakes. Although I had work done that I didn’t need and that I otherwise would have never hired anyone to do, I felt it would be best to pay the contractor directly for his time and lecture the business owner for running a poorly constructed operation. What baffled me the most is how these types of situations don’t educate the business owners at all. He never admitted his mistake, said he would negotiate down to where he would only make “a little profit,” and tried to convince me that his company has the best customer reviews on the internet. Stepping away having done the right thing by paying the worker allowed me to audit everything I was told. Lo and behold, the company is a fraud and they will undoubtedly continue putting customers in situations like these. My only hope is that he’ll at least spend a minute or so to understand the project before throwing it over the fence for someone else to do. When experiencing the present, you can’t be overwhelmed by mistakes from the past or an anxiety over what’s to come. We’re just there. Living the now. Without a dedicated focus on a task, project, or goal, the mind will inevitably succumb to distractions. These distractions are thoughts. These thoughts are usually memories or fearful anticipations. Mankind has found a sense of self lately after the rise of wellness activities like meditation and yoga. Even apps like Headspace have paved the way for mindfulness as a daily health practice. While I fully encourage this regimen, living with extreme intent in each moment is an alternative, and often less arduous, path leading to the same outcome. This heightened self-awareness allows us to pull the fire alarm, or hit the proverbial Stress Button, so that we can crawl back into our turtle shells and find ourselves again. Stress must first be identified before it can be treated. Locate it, feel your way out of it, and let your purpose block the doorway after it’s gone. It’s impossible to see the finer details after only a quick glance. Great work isn’t designed to be viewed; it serves to be analyzed. On the other hand, mediocre work passes the smoke test more often than not when those observing it don’t allocate the time necessary to understand it. So there we sit - stuck in the middle between quality and quantity. Me? I choose to slow down and take the time to assess the seams. Someone put a lot of hard work into the quality that I prefer. I’ve consciously decided to never take that for granted. I’m fascinating by the evolution of mature markets and how competitors engage in said market to obtain mind share. Many people question why Founders choose to enter certain markets. Onlookers tend to see juggernauts and feel as if the space is off limits. In my experience, the opposite is true. It’s very rewarding to carve out a niche inside a much larger market than it is to be the high-pressured innovator that is forced to make things up as they go. For one, the market has been validated by someone else, and you may have an advantage having observed what hasn’t worked for those that came before you. The lesson here is don’t be afraid to enter a market to compete for your own subset of customers inside a saturated vertical. Sometimes that’s where the best businesses change the world. In this moment, there isn't a need to test IQ's. Instead, there's this sudden urge to survey body language and sense the honesty in the air. If we're all so great on our own, why are we even in this room together? The brainstorm session is often the biggest culprit. Ideas don't have to be loud to stand out. Whisper your truth if you have to. Why Is Overnight Shipment the Lifeblood of Business Operations? Thanks to the magic of overnight shipping you can order a PlayStation online today and get it delivered by tomorrow. Businesses use overnight shipping for all kinds of purposes. They send their goods to client locations using overnight shipping to meet last minute deadlines. Both large multinational firms and local businesses order checks and other office supplies from vendors and online sellers who overnight it to them. In fact, ordering checks overnight is a common business practice as running out check paper is a common problem. No matter what you are trying to ship or expecting to get delivered, overnight shipping is truly an impressive feat. We are not talking about local shipments either. You can actually send out a package from London in the afternoon and get it delivered in Anchorage, Alaska before 10:00 AM the next day. Delivery giants such as FedEx and UPS have invested millions to develop their state-of-the-art logistics network and the speed at which they process individual package is actually mind boggling. Right from their networks of global sorting and shipment hubs to a fleet of cargo aircrafts, these carriers get the packages to their respective destination well within the deadline. How Does Overnight Shipping Work? Let’s say you want to send a check from Miami to Anchorage. Once it’s received by the courier guy, the mails that are sent to local addresses (within city and suburb) are immediately sorted out at a sorting station. Now, because your check envelope is addressed to go to Anchorage. It ends up at the Airport. From there it’s shipped off to a super hub. For FedEx, this location is Memphis. They have giant hubs that are responsible for sorting all the mail and then flying them out to their destinations. It’s important to note here that these giant carriers have their own aircrafts, which means they can fly nonstop from their hubs to international destinations. While commercial flyers have to wait at airports for connecting flights, a FedEx flight reaches distant destinations non-stop. Once the package reaches its destination, in this case Anchorage, it’s sorted again and shipped out to local distribution hubs via trucks. From there it’s delivered to the address well within the timeline. Why Businesses in America Need Overnight Shipment? For every consumer that’s trying to order something online, there are businesses that are trying to get their products delivered on time. Businesses that sell their products online usually offer a “rush delivery” option, which completely relies on the overnight shipment prowess of the major carriers. Apart from sending products directly to consumers, businesses also need overnight shipment to pay other businesses. Online banking is still not very popular when it comes to business payments. Businesses routinely order checks overnight from online printing firms and then send those checks via mail to their vendors and utility companies. Most medium-sized businesses print checks in bulk to pay all its vendors and then send them out in double-window envelopes. Delay in delivering these checks can potentially stall business operations. As long as businesses continue to use paper checks to make payments, overnight shipment will continue to serve its purpose in America. 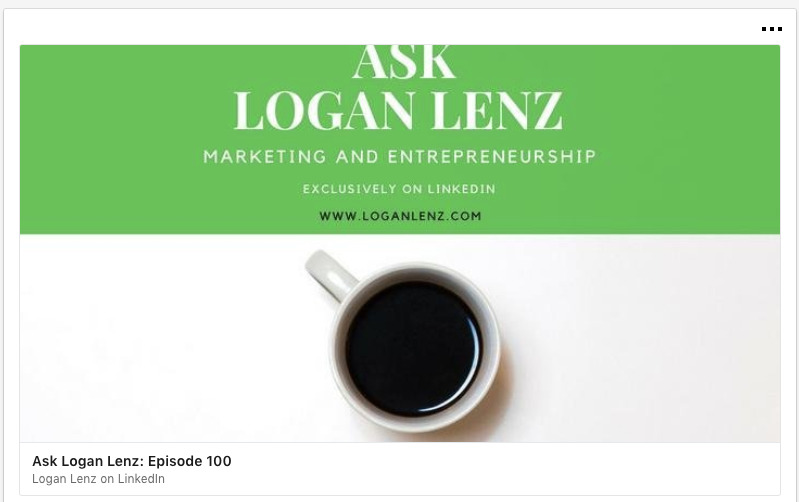 This week, I published the 100th issue of my Q&A series on LinkedIn. What started a few years ago as an experimental way to assist others on their ventures has turned into something much more. Who knows how long I will continue doing this format, but for now, I'm receiving great feedback and far too many questions to want to stop. If you have any questions that you would want published in a future issue, you can either email me directly or reach out to me on any of my social profiles. Enough is designed to be relative. It's an imaginary line that tells us we're about to be overwhelmed with too much of something. Enough should be made finite in your life. It can be based on what you think you need to survive. How many pieces of furniture do you need in your home? How much money do you require to live? How many close friends do you need to socialize with? When these numbers match a real world value, you'll find great relief in life's simplicity. Having enough.... Now that's true success. With love comes empathy for others. The path from empathy leads you to compassion. Compassion is empathy in action. If we don't allow the compassion to influence our thinking, our actions may be guided without enough context. Misinformed emotion is what triggers a potentially dangerous knee-jerk reaction. We could all use a little more compassion in our lives. What's one thing we can do to pick up the tempo? How can we increase the probability that this is a success? Positive questions in the face of doubt, lead to the more detailed answers that get you back onto the correct path toward success. In every buying situation, a consumer is confronted by choice. There are competitors to audit. There are options that are more convenient to others. And there are the products that make us feel better. When you boil down the dozens of variables that arise from these purchase decisions, you'll find that they almost always can be reduced down to three motivators. Money: How much will it cost me? Time: How much time will it take (or save me)? Safety: Do I trust the company? Is the product reliable? Now go back to the many reasons you purchase something. Take that reason and ask yourself "Why?" 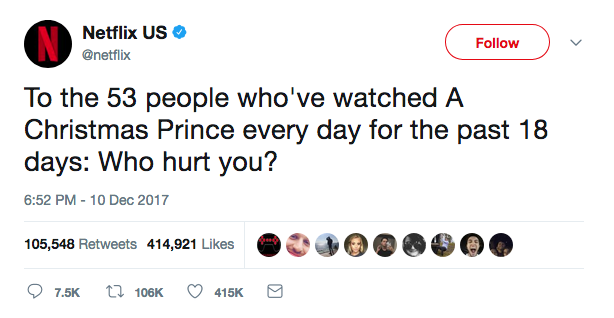 Keep asking why to peel the onion down until you can't go any farther. You'll undoubtedly end up at one of the above pillars. Perhaps we should be modifying our marketing messages to ensure we encapsulate these three emotional influencers. Success, to me, is getting as much accomplished as possible. Furthermore, it's making progress toward an attainable goal. I have found that most of the time, meetings get in the way of that. Scheduling meetings just for the sake of having a meeting isn't always necessary. That's why I'm always trying to find ways to minimize the amount of meetings without purpose. I have designed specific criteria, that when specifying the reasons for the meeting, may actually solve the problem that was to be discussed in the meeting anyway. While I will keep the above goal in mind, I do battle with it juxtaposing my love for meeting new people and brainstorming ideas with wonderful entrepreneurs. That's why I'm going to keep my calendar open online, and will always encourage 15 minute introductory conversations to see what comes of a new relationship. 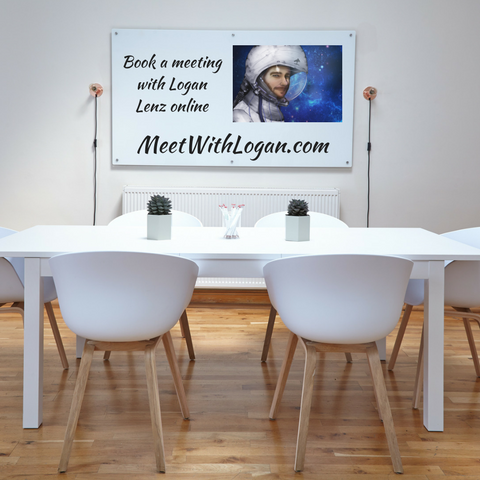 If you're interested in grabbing time on my calendar in 2018, you can now book the time over at Meet With Logan. Humans tend to want to move as quickly as possible at all times. The nature of keeping busy is to never stop doing something. Whenever focus is involved, though, it's almost always better to stop what you're doing, take a deep breath, and move slower. Think about the last time you were proud of something you created. Now think about the creation process. Was it spawned out of urgency on the first attempt? Or did you think about it, filter through your options, and revise it countless times? I'm convinced that we do our best work when our minds are purposefully honed in on the task at hand. I'm convinced that stopping to absorb information before taking action on it thwarts emotions from intercepting the true intent. More than anything, I'm convinced that we simply do better work when we don't try to do so much. So slow down. You're stressing yourself out. I've become a huge fan of Jerry Colonna this year. Other than the amazing talk embedded below, there are two snippets of his that speak to me most deeply. What am I not saying that needs to be said? What's being said that I'm not hearing? What am I saying that's not being heard? Picture your radio dial. Imagine turning the dial to "1." Only if the song is extremely recognizable, will you even be able to make out what it is amidst the sounds of your car driving on pavement. You hear the radio's frequency more than the content itself. Now turn it up a few to "3." Can you hear the melody now? As you continue to turn the dial to the right, your body begins to feel the beat and you begin to connect with the emotional component of the music. The hum is still there, but you can't hear it. Why? - Because you're now lost in the moment. Happily consumed by the melodic chaos. This is what it's like to grow a business. Once you get started, you'll hear that hum. It won't be clear until you pay closer attention or amplify your message. The hum and the business are always there - vying for your attention. The trick is to get lost in the music as often as you can. Once you hear it, you'll feel it. Once you feel it, others will follow. Nobody will notice that underlying hum. Instead of calling a business and hearing an automated voice system you are forced to talk to, we should be able to quickly identify ourselves via established parameters. No, I'm not talking about "name" and "account number." The system should track my phone number, read my response time, already know that my younger age suggests a higher aptitude for technology, my historical engagement with the company, and most importantly, what I might be calling about. I'd rather wait on hold for 2 minutes if I know the system is reading the context of my situation than stumble through a series of pointless questions that ultimately result in a frustrated version of me pounded "0" to speak to a human. Know me as a customer. Then personalize my experience. Anything else will always be too painful to even call about.